HomeSocial Media MarketingHere’s How Social Media Marketing and PPC can Gel Together! Here’s How Social Media Marketing and PPC can Gel Together! What can merge the marketing tactics and real-time result at once? Well, it’s Toronto social media marketing . Escaping the boundary of technology and sociology, this new-age marketing policy is omnipresent, omniscient and omnipotent! However, there is another instrumental marketing tactic with a proven track record in the recent days. No bonanza for guessing though; it’s PPC aka Pay-Per-Click. This is an ingenious marketing procedure that has a series of knacks up its sleeve for increasing the online traffic at par. Both Toronto social media marketing and PPC are ubiquitous and remunerative. However, a lot many of the marketers more often than not find it difficult to implement both these marketing forms to accentuate their sales. However, with the right mix of consuming content and relevant strategies, you can swiftly vanquish the existing concerns and coordinate these 2 marketing tactics for better ROI. As a marketer, you have to understand that your target audience is nowadays using their grey matter to a great extent to get maximum purchase benefit. So, before you start with your overflowing campaigns, make sure your product or service has got something to say and not to sell! Understand your niche audience’s mentality to make your Toronto social media marketing and PPC a success. Curate content that will immediately connect with the customers. You may not get an overnight result, but working on the content can surely fetch you the best return on investment. Now the million dollar question! How can SMM & PPC work together in this endeavor? To make your every effort count, technology is brimming with tools like ‘Facebook Audience Insights’ & ‘Search Data’. 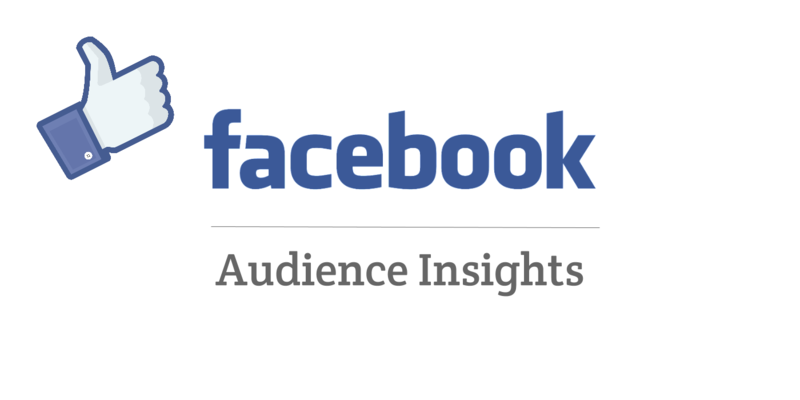 Firstly, the insights given by Facebook during SMM will proffer you a panoramic view of your target customers. Starting from their demographics to age to purchasing behavior, this tool will can make your campaign affluent with real time results. On the other hand, with the aid of search data analytics you can have keep the PPC ads relevant to the visitors. This is of immense help as it gives you the idea of most searched or even the competitive keywords vis a vis your customers & potentials. Hence, start with the roadmap of compelling stories, take help of the SMM & PPC tools respectively, and the rest is assured. Our in-house digital experts are always happy to help you in this regard! Sticking on a single social media platform or even a website to promote a business is absolutely not happening. So, you brand must take flights on different channels to hit on the desired location. However, measuring & optimizing these multi-channel marketing becomes a real task. To track every insight of you need to embrace a multi-channel attribution. It acts as the Swiss Army Knife to compare and cut throw all the required data for a better understanding of the campaigns. For instance, use a tool like Google Analytics to get a proper idea of both the PPC & SMM marketing. Needless to say, this is an impeccable way to contextualize performance of your different marketing tactics. The amazing beauty of SMM & PPC is that both of these marketing forms have their own distinctive power and weakness. While conducting a cross-channel campaign, you simply need to understand their specific role. Once done right, reaching your target audience remains just a few clicks away. Take for example. Facebook is one of the best platforms for SMM. It acts a prospect-generating & also customer retention channel at once. It is an excellent channel to build brand awareness, rather than selling products. The major reason being that the Facebook users are not active buyers. On the other hand, PPC works best for capturing visitors who are in search of specific products or services. It aims the buyers at the middle of any purchase-related query. So, you need to understand the purpose of both these marketing tactics for generating more leads. Google and even Facebook provide robust inbuilt tools to focus on your target audience that you can get by paid ads. Utilize these tools to streamline your marketing tactics both in case of Toronto social media marketing and PPC. Tools like ‘Customer Match feature’ on Google or ‘Custom Audience Feature’ on Facebook help you narrow down all the questions regarding your marketing. Furthermore, with better insights, you can also concentrate both on cohesive and relevant marketing formulae. You can ameliorate your brand marketing encompassing both SMM and PPC with our skilled professionals. With years of proven expertise, our team members can take your business to the next level and generate more leads on the cross-channel campaigns. Knock us and get the best ROI by flocking SMM & PPC cordially.